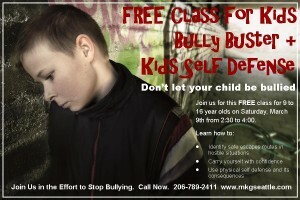 Bully Prevention and Stranger Danger Workshops at MKG Martial Arts. FREE This Weekend. We will be offering two workshops for kids ages 5 and up on Saturday, March 9th. Both these workshops are FREE for everyone in the Seattle community. 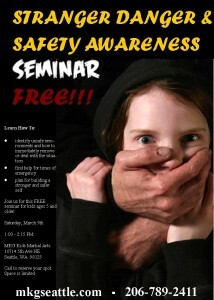 First will be a Stranger Danger / Safety Awareness class for kids ages 5 and up. 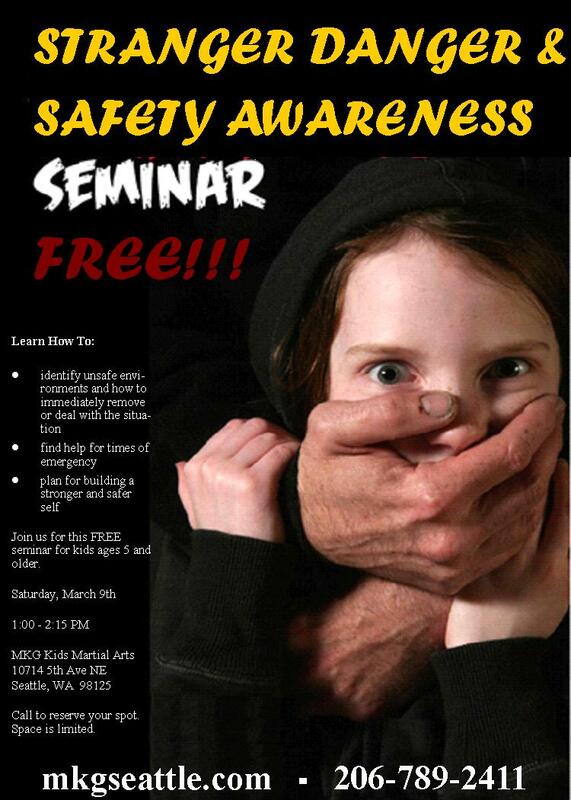 The class will cover anti-abduction / kidnapping prevention principles in a safe, fun and high energy class. 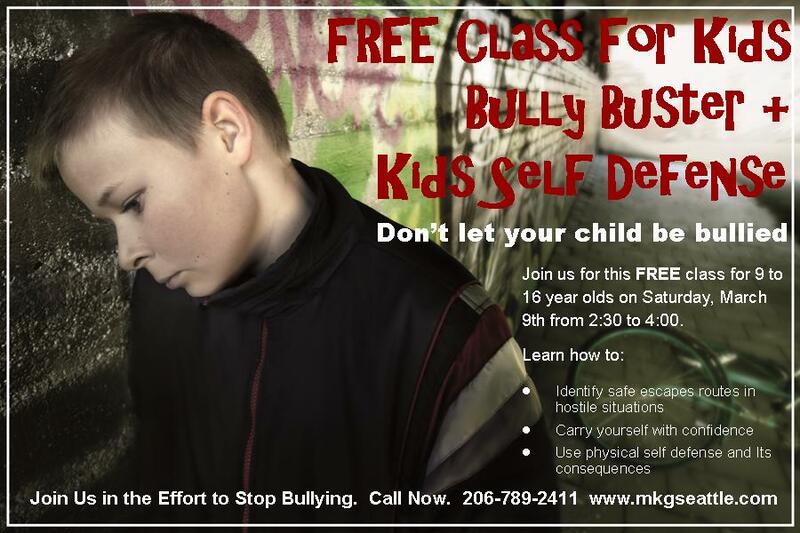 Following the Stranger Danger workshop at 2:30 PM we will begin our Bully Busters / Kids Self Defense class for kids ages 9 to 16. As you know bullying has become an epidemic in this country and with the advent of computers and social media the channels and severity of bullying is even worse. This class will go from 2:30 to 4:00 PM. Please join us in our efforts to keep our kids healthier, happier and more confident through our Bully Prevention and Stranger Danger community service programs.